That’s former W.Va. Supreme Court Justice Spike Maynard on the left, shown during his 2006 trip to Monaco with Massey Energy CEO Don Blankenship. Two years ago, Spike Maynard lost his bid for re-election to West Virginia’s Supreme Court of Appeals — largely, most observers believe — because of the photos that surfaced of his European vacation with Massey Energy CEO Don Blankenship. This isn’t about where I went on my summer vacation four years ago. It’s … about whether we are going to mine coal in Southern West Virginia. Last year, Maynard changed his registration to Republican and said today he was running in the GOP primary and hopes to end up in the general election trying to unseat Democrat Nick J. Rahall for the congressional seat representing most of Southern West Virginia’s coal counties. 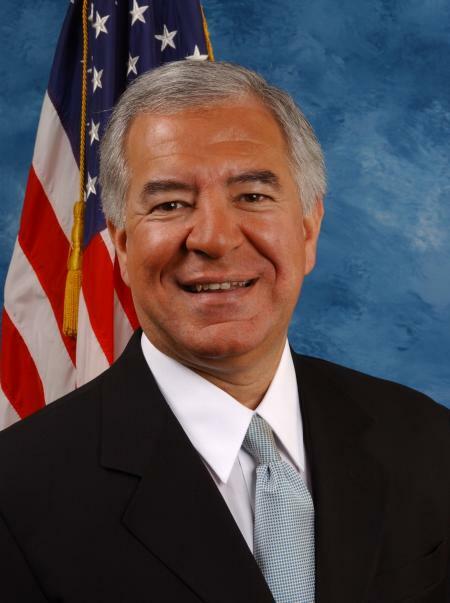 Rahall is in his 17th term representing that region. While he’s been under increasing pressure from some in the coal industry (especially folks associated with Blankenship), Rahall has periodically been targeted by candidates who were funded by coal interests. 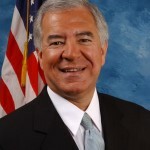 Rahall has tried to navigate a pretty complicated political terrain, as he’s Chairman of the House Natural Resources Committee and considered a strong environmental advocate on almost all issues except those affecting West Virginia’s coal industry. The entire economy of West Virginia today is threatened like it’s never been before in our lifetimes. It’s truly today economic life or death in West Virginia and part of the reason is that leaders in Washington, D.C., have simply declared war on the coal industry. They have promised us they are going to bankrupt anyone who builds a coal-fired power plant. As the Gazette pointed out at the time (the eve of the 2008 general election), that line by Sarah Palin greatly twisted then-candidate Obama’s remarks. Obama was simply explaining that the idea behind cap-and-trade legislation was to encourage utilities to put carbon capture and storage technology on their power plants to control greenhouse gas emissions and keep coal competitive in a carbon-constrained world. Among the supporters of such a program are the United Mine Workers of American union and American Electric Power — the nation’s largest coal buyer. And, just for the record, Rep. Rahall voted against the House cap-and-trade bill. They have said they intend to stop surface mining and kill all of the jobs that are associated with it. Who said that? I don’t think it was EPA Administrator Lisa Jackson and it certainly wasn’t Interior Secretary Ken Salazar. It doesn’t sound like candidate Maynard is too interested in finding ways for the coal industry to “embrace the future” or trying to navigate a future for Southern West Virginia where Central Appalachian coal production — regardless of whether climate change is dealt with or mountaintop removal is restricted — is cut in half within this decade. Can I declare a War on the War on the War on Coal? this “war on coal” is going off into lala land, and its a shame that the people running for office and those in office are “dumbing down” the discussion to this level. Please, we have a vested interest in the future of our state, which includes strip mining, but also environmental protection,tell us how the two will blend. The best endorsement that “Spike” could recieve is that the Gazette will endorse Rahall. If they be for him we must be against him! I have to wonder how often it is that a former judge (and Supreme Court judge, at that) decides to run for a non-judicial political office and comes out so brazenly with his strong political opinions. I know many people already thought of Maynard as a pro-coal judge, but I find it pretty appalling that he’s implicitly coming right out and admitting that he functioned as a pro-coal judge, not an impartial arbiter of the law. I’m truly curious to know how often this sort of thing has happened across the country. What happened to Pruett? He could win over both Rahall and Spike Maynard. I wouldn’t count him out. When I first heard it I thought “no way could he win against Rahall” – but the more I thougt about it and compared it with my extensive time in the coal fields, I realized that he just might pull it off. Its going to be a dirty race. And the whole filing deadline question is curious to me – did he say he filed in Nov but it never got posted on the SOS web site? Maynard will never even get to face off against Rahall since he’s surely to lose the primary in May…not a problem. The Dems voted him out in his last primary, I’m sure the Repubs will do the same. A man without a party except Massey Energy is a man without a chance of success. Don’t be so quick to count him out. This blog is hated by the vast majority in the Southern coal counties, (which will be who is voting on this race, not Kanawha Countians) and should Mr. Ward take up the cause of seeing Spike lose, it will only help him. Huh … a public official who is so proud of their love for coal that they won’t use their real name on a public blog. Shocking. Anyway, I don’t know if folks in Southern West Virginia hate my blog or not. But I do know that they read it. Our numbers show me that. But I would point out that during the 2008 Democratic primary for Supreme Court, then-Justice Maynard did only marginally better in the counties in the 3rd congressional district than he did statewide. Statewide, Maynard received 19 percent of the vote, behind 36 percent for Workman and 27 percent for Ketchum. In the counties in the 3rd district, Maynard received 21 percent of the vote, behind 34 percent for Workman and 32 percent for Ketchum. It’s a long way before the general election, so who knows. I have not seen any public policy data to date on this. And of course, I haven’t seen anyone from the coal industry wanting to step up and defend what Maynard said about Aracoma. s – I’m not sure what you heard Maynard say. What would make sense is if he was talking about his change in party affiliation from Democrat to GOP being some time back in Nov. In order to run for office as a Republican he had to be a member of the GOP for something like at least 60 or 90 days first. Like everyone else, he could only file as a candidate for office during the 3 weeks that ended on Saturday. My understanding is he had to file at the very end of that 3 weeks because he waited so long to change parties. My reasoning for my previous anonymous posting is that as a member of the judiciary I should not post my personal views on this issue as I should appear to maintain neutral in such matters. I may have my own personal beliefs, but they are not for public consumption. What struck me as odd, and proof of your perceived anti-coal bias is that you immediately labeled me as “a public official who is so proud of their love for coal that they won’t use their real name on a public blog. Shocking.” My GPS coordinate does not mean I am not a free-thinking individual who sees both the good and bad that coal contributes to the area. Should you re-read my prior comment perhaps you would agree that you jumped the gun? And I have admired you the past for making corrections, or clarifying your positions. Like it or not, I recognize that your blog provides a dialogue. Nowhere in my posting is ANY indication of my personal views on coal, or how it is mined. You assumed that being from the Southern Coalfields that I love coal and all it encompasses. I simply stated the fact (and I reach my conclusion by talking to the people who live here, not through the scientific method, but still stand by my assertion) that the residents of the Coalfield despise your blog and its perceived bias and should you jump on the anti-Spike bandwagon, which you seem eager to do both early and often, it will likely only strengthen his campaign. Unfortunately there is a huge disconnect between the Gazette, your blog and the local people and press. The most recent glaring example was in regards to some comments from Maria Gunnoe after the recent meeting with Gov. Manchin. You attributed her with the quote, “t’s very important that this not be a one-time thing. We live in these communities, and we’re not going anywhere. This can’t be where it ends. This is the beginning of a long process.”Now let’s look at her other quote, unreported by your blog. Why did you not print this quote? Now tell me Ken, who do you think Ms. Gunnoe won over in the coalfields with statements like that? Like him or not, Spike’s message is ringing loud and clear here. Maria Gunnoe’s is not. Spike has a few things going for him. First, the coal industry has been very successful with its fear-mongering campaign that began over a decade ago. Or, I should say, it’s latest fear-mongering that began after the original Hayden decision. Massey, Friends of Coal and the WV Coal Association have spent millions telling us how wonderful they are and how all the bogeymen and women (Nancy Pelosi, of course) are out to take their jobs. And, after years of truly hideous commercials (remember Bobby Pruett and Don Nehlen on the golf course? ), Massey has finally put some commercials on the air (“we live here, we work here, we give here…”) that are worth what they paid for. It doesn’t take a focus group or a poll to figure out that Al Gore and Arabs scare the beeswax out of alot of hard-working West Virginians. And, Spike has a smart, ruthless political consultant who has his hands in Massey’s pockets as well as the national Chamber of Commerce and national Republicans. So, no one should take Spike lightly. However, I just have to say – is this the best “they” can do??? After trying to get every name they could think of (Pruett, Doc Foglesong and more I won’t name, but I personally know were approached), they had Spike sitting on the bench. Well, not literally…. but he was down there, a 3rd-stringer hoping his name was called up. So, now we have Spike, a smart political consultant and potentially millions to back him. And, say what you want about him, but darnit, Spike is on message with the “War on coal” and I’m sure we’ll hear alot about how Obama, Pelosi and Reid (and “national democrats” – that tests well in polls, after all) are out to take jobs away from hard-working West Virginians. Well, heck, I’ll bet they figure out a way to throw “San Francisco” and “Diane Fienstein” into at least a radio ad….. And, the ACLU – those always poll well! And, I’m sure we’ll hear alot about about Rahall. Not that he’s been a friend of coal since 1977, of course. At the end of day, Rahall will win, but it will be ugly. In the meantime, we’ll have another 9 months or so of distraction, so good, decent, smart southern West Virginians won’t be thinking about jobs of the future for their children or grandchildren. They won’t be thinking about the environmental mess being left for the next generation to clean up. Nor will they be demanding more from their local officials and school boards to better prepare their children and their communities to compete with the real threats to their future – China, India and ignorance. And, certainly they won’t be thinking about the out of state interests that own southern West Virginia and have worked hard for a hundred years to keep out any new jobs to compete for employees. Those interests will just continue to turn neighbor against neighbor and destroy the remaining communities in the 3rd district. And, will keep sending the millions to directors and stockholders in Richmond, Philadelphia, St. Louis, Great Britain, you name it. Thanks for your interesting comment and thoughtful response. Perhaps you’re right, and I spoke too soon. I apologize for that. I’d be interested in any polling numbers you have for Southern West Virginia — the 3rd district in particular — on these issues. The statewide numbers certainly generally indicate that a majority of West Virginians oppose mountaintop removal. I’m aware of the Logan Banner story you mention regarding quotes from Maria Gunnoe. She did not say that during the portion of her remarks that was made to the entire group of media … so I’m assuming that if she indeed made those remarks, they were made during a one-on-one interview with the Banner. I do not know the context of them — the questions she was asked and what else she said. I did not hear that interview, so I don’t know what was said. I may blog on this some more, but frankly, I think the media is part of the problem in West Virginia. I heard another reporter from a different news organization question the governor and the questions were all aimed at getting the governor to say that there’s no way to find any common ground in our state — that one side loves coal and the other side hates it and finding reasonable solutions is impossible. I don’t happen to believe that common ground is impossible or that reasonable solutions can’t be reached to the problems that West Virginia — or any other Appalachian coal state — faces. Most of the West Virginia media seems intent on reporting these issues in a way that does nothing but divide people more. With due respect to my buddy Hoppy Kercheval, I think Coal Tattoo is the only place in West Virginia where the media (the Gazette and me) encourage folks who disagree on these issues to try to talk reasonably and politely to each other to see if they can agree on anything. I can hassled plenty from both sides for deleting posts that are little more than name-calling. If the local media would look, I think they would find growing consensus among scientists, political leaders and West Virginians on issues like climate change and mountaintop removal. The folks who don’t like Coal Tattoo are the ones that don’t want any sort of change at all. Unfortunately, the local media too often plays into that. To answer your specific question: I didn’t report on what the Logan Banner did because that’s not what Maria Gunnoe said during the press conference and I didn’t take part in the interview in which she supposedly said that. Did a quote like that win anybody over? Well, of course not. But while many folks spend many hours focused on these issues, the vast majority of West Virginians (even Southern West Virginians) do not … my belief is that most of those folks don’t really like mountaintop removal but also don’t like the idea of their neighbors losing their jobs. Sen. Byrd said we’ve got our work cut out for us in trying to find some middle ground. As long as the media depicts the state as so bitterly divided, instead of reporting on things folks do agree on, that work will remain very difficult. I don’t know if I answered your questions, but I gave it a shot. I appreciate your response and certainly accept your apology and will again give credit where credit is due. Mountiantop mining is a hot button issue in our state like no other and you keep this blog both informative and respectful. Like it or not, southern WV is going to have to transition away from strip mining (mountiantop removal is far too PC for me). But I personally feel that the way the EPA handled things was far too abrupt and only caused battle lines to be drawn and both sides to dig in deeper. If the political winds want to end strip mining, then give the coal operaters and miners time to make that transition. To usurp the Corps authority and rewrite the rules post-permit approval is fundamental unfair. I know that the environmentalists would say that yesterday was too late to stop the permits, but the coalfields can’t turn on a dime overnight. An entire generation of workers will need to be trained to mine underground. Southern WV simply feels like the rug has been pulled from underneath them. As for Ms. Gunnoe, I respect her position and admire her fortitude, especially as I know members of her own family who are miners and disagree with her wholeheartedly to the point of disowning her. But if her comments to the Logan Banner about her indifference to job loss is her actual quote, then she puts her cause two steps back. My thought is that to strike an effective balance in concern to strip mining, the “hearts and minds” approach of Vietnam won’t work. You can’t bomb your way to having people come to your way of thinking, which is akin to Ms. Jackson and the EPA’s strategy. I think the environmentalists should take a “Cold War” approach to strip mining. Educate our people, take a grass roots approach. The Soviet Empire was defeated through blue jeans and PC’s, not bombs. The Obama adm. moves to this point have only emboldened “king coal” and have created their own monster, ie Spike and Don’s campaign. Will he win, I doubt it. Will Spike’s sins of the past be forgotten. I have no doubt in the coalfields they will. People want their judges to be fair and impartial. Likewise, they want their Representatives to be unfair and partial to their interests. With Spike, they know what they will get. Ken, thanks again for your comments. I’m sorry. We (and our government) should be concentrating on alternative and renewable forms of energy. If those who live in West Virginia could turn their attention to their eco system and realize just how attractive the state could be to tourism. There is the opportunity there for everything from skiing, cross country trails, camping, hiking etc. Many people are still searching for places that are more geared to nature to spend their money for family vacations. Those thousands of jobs lost on mountain top removal (which is absolutely destructive to the entire eco system) could be turned into jobs directed towards parks and recreation. West Virginia has a great chance to turn their state around from a very poor, but beautiful state into a beautiful state which could benefit by keeping the eco system and nature open to tourist. I’ve been to West Virginia for recreation. I loved it and will return at every opportunity. I wold like to continue to see the beauty the state has to offer and not have to see the destruction of mountain top removal. I’ve also seen the damage from mountain top removal and was sick to my stomach just from the sight, not to mention what it does to the eco system. It affects every aspect ! I say, turn they tables. Make your state a tourist attraction. There are many of us who are already doing out part to stop dependency on coal. We are making the needed sacrifices to eliminate our needs for coal. There are many of us who are already trying renewable sources and we are doing all we can to make all the energy we need from wind/solar so that we are off the “GRID” ! IF YOU MUST continue to mine, then PLEASE….insist on outlawing mountain top removal. It only reduces the number of people required….therefore….more people have been laid off. Good luck to West Virginia. I hope you are able to look beyond the destruction of your state’s vital resources in the name of moutain top removal and look to a future where your state will draw thousands of people each year for recreational purposes. It can happen, but only if those who live there insist upon looking beyond the ‘immediate’ small picture and look at what the future could hold for West Virginia as a tourist destination. Believe me when I say….there are many, many of us who lwant to spend our vacation dollars on NATURE and the OUTDOORS. If MTR is allowed to continue, your eco system will be destroyed and although Mother Nature can heal, she can not rebuild mountains and she is not a MIRACLE WORKER.